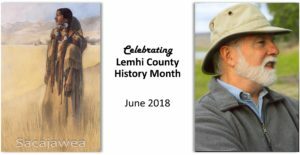 The Sacajawea Center and the Lemhi County Historical Society have been teaming up for five years to bring June History Month to the community. This year the Center is also celebrating its 15 year anniversary and we are excited to be hosting Dr. Gary Moulton for June History Month. Dr. Moulton is the preeminent editor of the Lewis and Clark Expedition journals and has produced not only a 13 volume edition of the journals for scholars and the likes but also several other books including, The Lewis and Clark Expedition Day by Day, released in April. 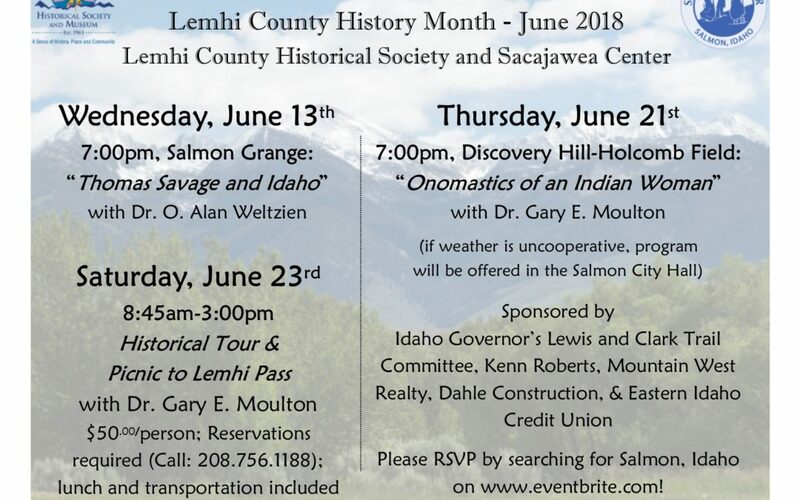 On Thursday, June 21, 2018 Dr. Moulton will be giving his presentation, “Onomastics of an Indian Woman,” at Discovery Hill – Holcomb Field at 7pm (if weather is inclement the event will be moved to City Hall at 200 Main Street). Holcomb Field is located beyond N. St. Charles Street in Salmon on Discovery Hill, which gets its name from the Corps of Discovery traveling through the area in 1805. A map is included below for details on how to reach Holcomb Field. Please help us plan for the event by following this link to Eventbrite to RSVP to the presentation at Holcomb Field. The term “onomastics” relates to the study of names—place-names usually, but also to personal names. Dr. Moulton was led to this topic when he wondered if during the Lewis and Clark expedition, terms for Sacagawea changed over time and if those changes were the result of circumstances. For example, did expedition journalists (particularly Lewis and Clark) use more familiar or affectionate names for her as they got to know her better? Did her usefulness (gathering plants, pointing out landmarks) generate a change in naming her? Did dramatic events (such as saving expedition items during a boat accident) alter the way she was labeled? Did she go from “Indian squaw” to “our Indian woman,” from “interpreter’s wife” to “Sacagawea” as time passed? Did specific names for her reflect particular attitudes by the writer? After examining all references to her in the journals, Dr. Moulton suggestions answers to these questions. He also discovered some interesting matters that may alter our perceptions on how the members of the Corps of Discovery viewed her. Dr. Moulton will also be joining us for our annual field trip on Saturday, June 23 to Lemhi Pass. Pre-registartion is required for the field trip and the cost is $50 per person and includes lunch and transportation to Lemhi Pass. 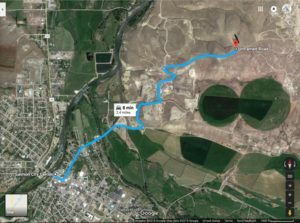 We will meet at the parking lot across from the Lemhi County Museum (210 Main Street) at 8:30am on the 23rd. You can call 208.756.1188 to make your reservation for the field trip or if you have questions about any of the programs. Dr. Gary E. Moulton is Thomas C. Sorensen Professor Emeritus of American History at the University of Nebraska-Lincoln, and editor of the Journals of the Lewis and Clark Expedition. Moulton began the editing project in 1979 with support from the UNL Center for Great Plains Studies, the American Philosophical Society, Philadelphia, and the National Endowment for the Humanities, Washington, D.C.; he completed the thirteen-volume edition in 1999 and retired from the university in 2004. Dr. Moulton has received numerous awards and scholar-in-residents and has been called upon often as a consultant for Lewis and Clark projects, including Ken Burns’ film, “Lewis and Clark: The Journey of the Corps of Discovery,” the United States Mint’s design of the one-dollar Sacagawea coin, National Geographic’s Lewis and Clark IMAX film, and Maya Lin’s Confluence Project on the Columbia River.